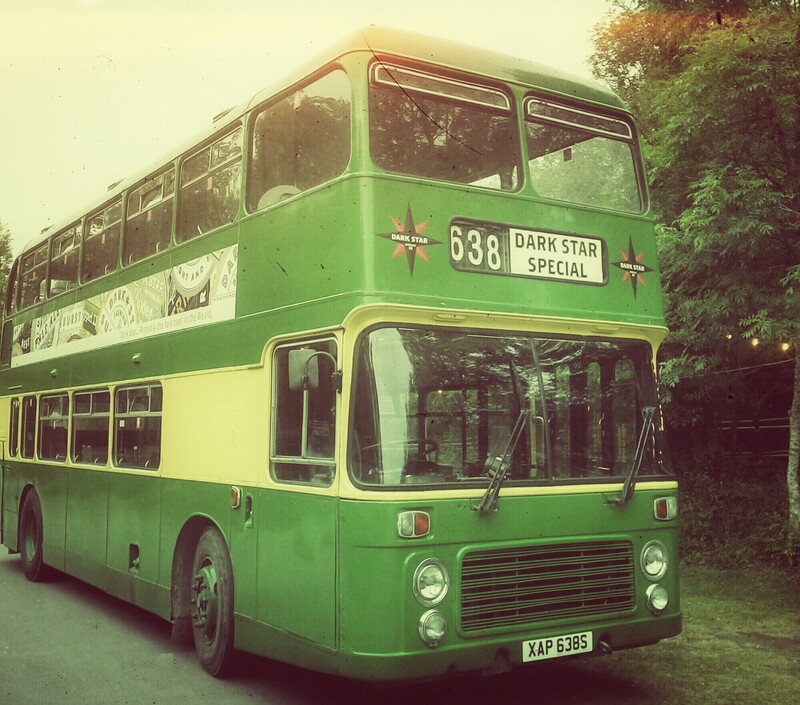 I joined the queue and made my way around the hillside and through to the yard where people dressed in all-black gathered, steam engines chugged, a silver bullet shone and a darkened double-decker had it’s middle opened out, glowing purple. Reading that back, I realise I’ve perhaps made this sound like a carnival of doom, when in-fact it’s a far more affable affair. The event is Ale at Amberley, now in it’s 9th year, and the setting is one Amberley Museum, an open-air, working museum set in the chalk pits of the South Downs. As a kid the museum at the chalk pits provided many exciting days out during the summer holidays, now it provides the same level of excitement, albeit for different reasons, as the annual beer festival is put on. The 36 acre site is surrounded by the chalky downs, in the middle of the quaint village of Amberley and is ‘dedicated to the industrial heritage of the South East’, complete with a narrow-gauge railway and bus service (providing free nostalgic travel around the site), telecommunications hall, electricity hall, printing workshop, steam engines, traditional blacksmiths and a potter, to name just a fraction. Put simply, this is one of the best sites there is for a traditional real ale festival- it comes complete with its own props! and as such means that this festival is a real event and something unique for the beer calendar. 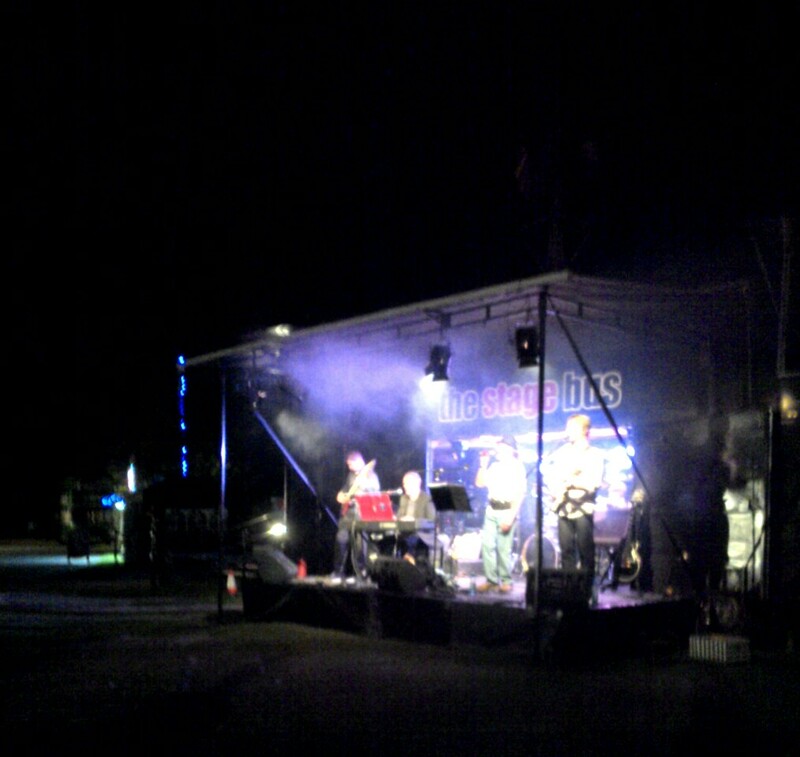 This year the festival seemed bigger and better than before, the addition of the Stage Bus provided some stella entertainment and added real value to the price of the tickets. 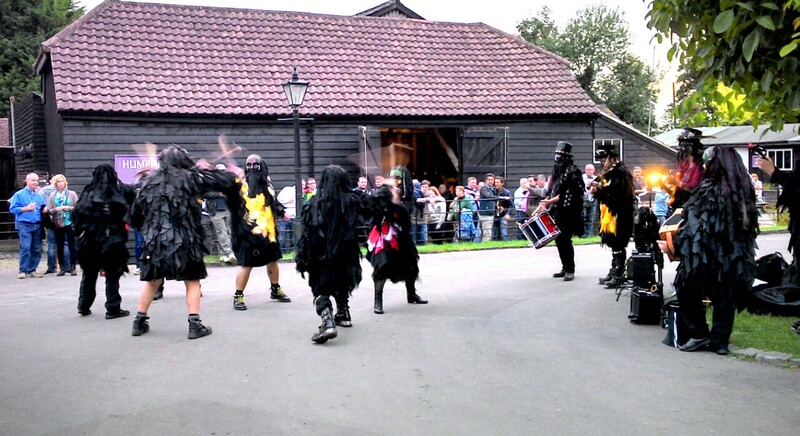 The Mythago Morris dancers were also in cracking form, dressed in their trademark black outfits, they really are a spectacle- and what beer festival is complete without the traditional leg flinging and stick thwacking from Morris troupes? The food was also very good, hot dogs and burgers were being expertly flipped and layered up from inside the stylish silver bullet-like food wagon that was Shakey’s Diner and the museum’s own Limeburners cafeteria were catering for those who preferred to eat at a table. 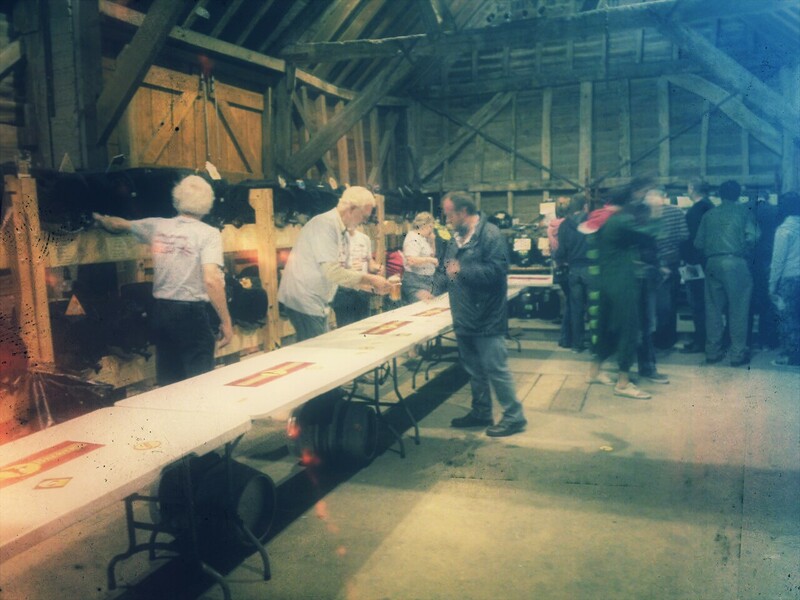 The beer selection was split alphabetically by brewer between two traditional barns and the range was good, a healthy mix of quality local brews and those from further afield that don’t often get a chance to show themselves around these parts. I jumped in to Humphrey’s Barn (not a euphemism) and started my evening with Tiny Rebel‘s One Inch Punch – a 3.9% Mosaic-hopped beauty with sweeping tropical fruits and a good malt base that gave the beer a depth and body of a higher abv. Moving on I made my way through Langham– Saison, Buxton– Moor Top, Crouch Vale– Chinook, Waen– Pamplemoose, Welton– Churchillean, Dark Star– Festival and Oakham– Hawse Buckler. There was only one beer that had gone ‘off’, Waen’s Snowball, an alluring 7% promise of chocolate, vanilla and coconut wrapped up in a stout. Unfortunately a trial sip resulted in those flavours being pushed back by a vinegar slap, but I’m eager to try this beer and shall endeavour to track it down! If you see it, let me know. A great atmosphere and a beautiful setting is all you need to set-off some of the best cask ales in the land and that’s precisely what you get from Ale at Amberley. I’m already giddy with excitement, like a kid ready for the next school holidays, I can’t wait to see what next year’s 10th festival brings.